Misty clouds stream in from the west side of the divide, as Aoraki / Mt. Cook overlooks. 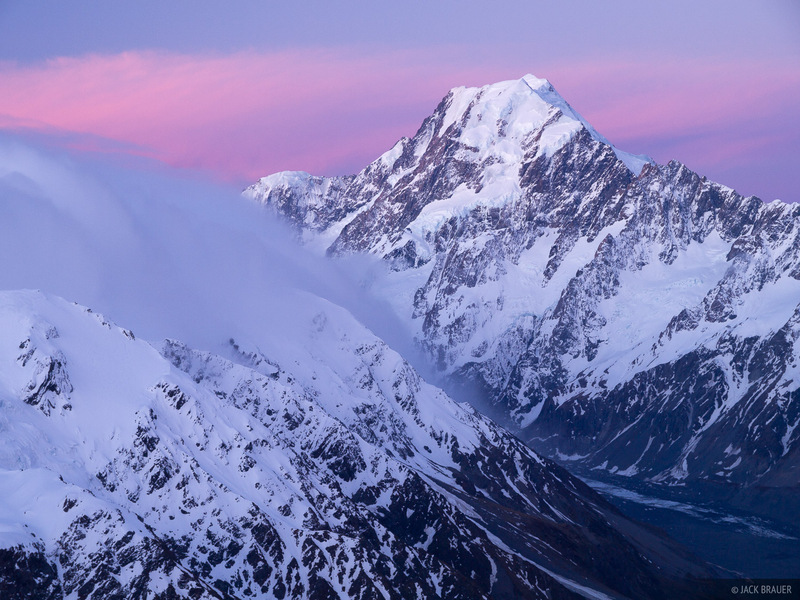 This mountain is the tallest in New Zealand, at a height of 3754m, or 12,316 ft. Photo © copyright by Jack Brauer.